NEW YORK, Aug 8 (Reuters) – Federal scientists investigating an unusually high number of dead bottlenose dolphins washing up on the East Coast said on Thursday the carcasses are showing up at a rate that is seven times higher than usual. 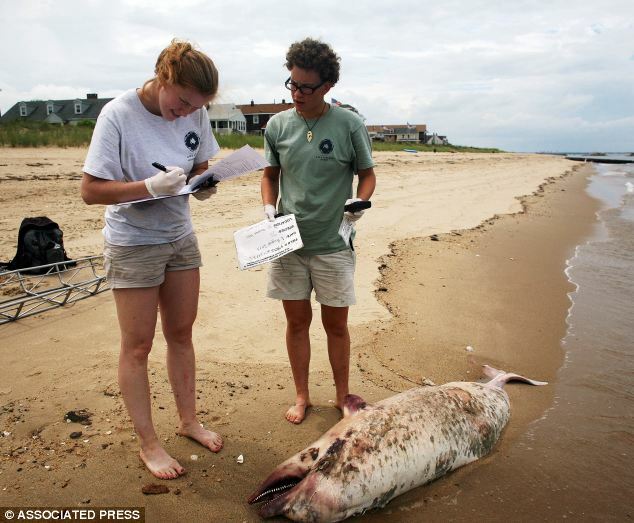 More than 120 dead animals have been discovered since June from New Jersey to Virginia, the National Oceanic and Atmospheric Administration’s Fisheries Service said. Federal scientists have declared it an “unusual mortality event” and are investigating the cause, said Maggie Mooney-Seus of NOAA Fisheries. A number of things can cause dolphins to strand, including harmful algal blooms, infectious viruses, injuries due to ship strikes, pollutants and human-made runoff, NOAA said. Although the cause has not been determined, early tissue analysis showed that one suspect could be morbillivirus, an infectious pathogen, said Teri Rowles, national marine mammal stranding coordinator for NOAA Fisheries. Marine stranding response centers are collecting information on the deaths and necropsies are being performed, but it could take several weeks to determine what led to the deaths, the NOAA said. In this month alone, 28 dolphins were found dead along the shores of the East Coast. It has been 25 years since the last large die-off of dolphins along the U.S. coast. In 1987, more than 740 animals died of morbillivirus on the coast from New Jersey to Florida. Scientists warned the public not to approach the animals if they see one stranded because they could harbor an infectious disease.